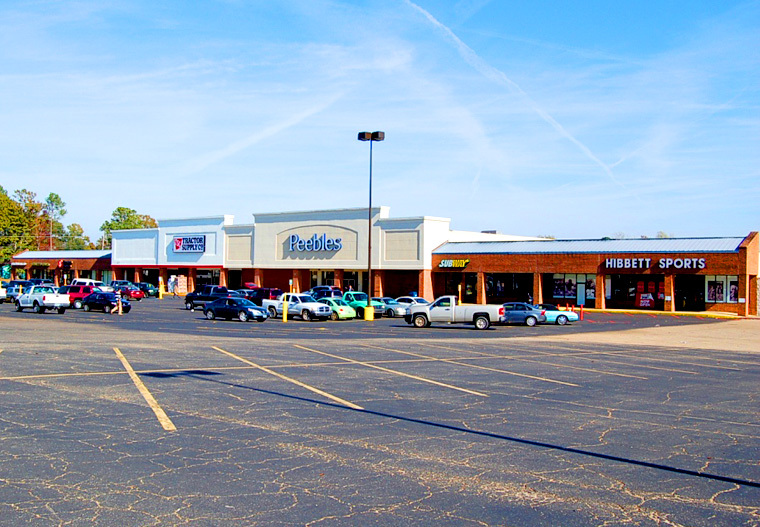 When COMVEST set out to purchase a stagnant, underutilized shopping center on the retail corridor of Lucedale, Mississippi, we saw an opportunity where others only saw an impossibility. The 50,000 square foot Lucedale Marketplace, at the corner of Old Hwy 63 and Cowart Street, was 37% occupied, in foreclosure and the target of pending liens. With three other similar shopping center acquisitions and redevelopments in the COMVEST portfolio, we knew we were looking at a diamond in the rough. One year later Lucedale Marketplace boasted 97% occupancy, new national tenants, and a new owner. Over the course of that year, the COMVEST team used our experience and relationships to weather the challenges of re-foreclosure, renegotiation of existing tenant leases, lien waiver negotiations, new tenant leases, and to ultimately secure a purchaser who brought Tractor Supply Company to the asset’s vacant anchor space. As well as a local tobacco shop and dry cleaners, co-tenants include Peebles, Hibbett Sports, Subway and Harrison Financial. In an economy where municipalities are more dependent than ever on sales tax revenue, this line up of retailers was a welcome boon to the City as well as area shoppers.